In Cold Winter, players take on the role of Andrew Sterling, a rogue British secret agent. The storyline is a mish-mash of kooky conspiracy theories and secret agent shenanigans, but you won't play Cold Winter to marvel at its intricate plot; you'll play it because it's the best PS2 first-person shooter ever made. Compared to graphical prodigies like Halo 2, Cold Winter's gritty visuals don't hold up particularly well; but based on its own merits, the game sparkles. The designers have clearly paid special attention to small details, such as flies that cluster around freshly killed corpses. The special effects, such as snazzy lighting and motion blurring, are eye-catching. The immersive audio, meanwhile, crackles with intensity. Gunshots are loud and clear, and the tiny bits of sonic wallpaper--such as the faint snap-crackle-pop of distant fireworks--make the entire experience come alive. 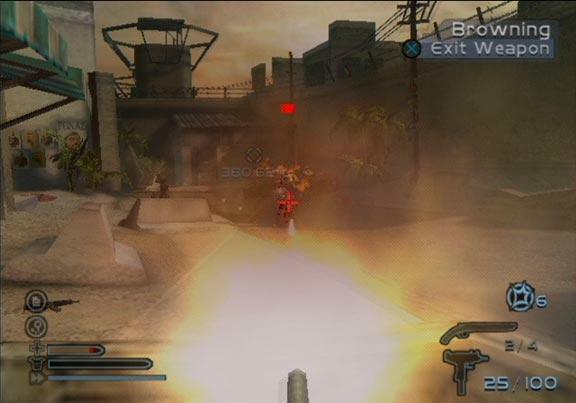 Killzone's jerky, imprecise analog aiming system doomed it from the start, and the game wasn't the only casualty; from day one, PS2 shooters have routinely suffered from imprecise analog controls. Some folks have even argued that these reoccurring control problems are proof that the PS2's analog sticks are technologically inferior to those of other consoles. But Cold Winter makes a compelling argument that the PS2 controller is quite capable in the FPS arena. Upon playing the game, the smooth, responsive analog aiming is immediately apparent. Though you can't customize your button settings (or even the analog stick sensitivity! ), you likely won't mind because Cold Winter's default scheme works quite well. Sterling may be a super-spy, but his greatest talent is his tank-like ability to absorb enormous amounts of punishment. In the single-player game, Sterling can scrounge armor off fallen foes and even heal himself in the field thanks to a portable med kit. These strategic gameplay elements make playing Cold Winter a less frustrating experience--even if you're a lousy FPS player, you shouldn't encounter many problems. But multiplayer is a big standout here, especially given the massive arsenal of over 30 well-balanced guns. Between the robust single-player game and the addictive (and highly customizable) multiplayer component, Cold Winter is one well-balanced package. Old-school FPS junkies will notice some striking similarities between Cold Winter and Soldier of Fortune, a brilliant little niche shooter released in 2000 for the PC. 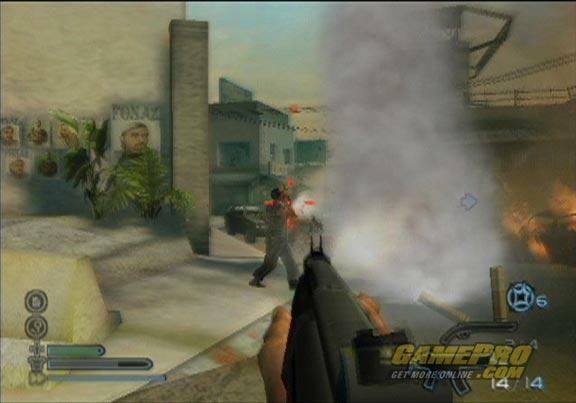 Both games are immensely violent, with shotgun blasts literally tearing targets limb from limb. Both games are also immensely playable. In the end, there's no doubt about it: Cold Winter is easily the most enjoyable first-person shooter available for the PS2.